The Shibuya raiding party begins another assault on the Calling Fortress and manage to break through to the roof where they encounter the raid boss: Taliktan, the Genius of Summoning. After failing to establish communication with the monster, it summons swarms of moths which engulf Shibuya and the other player cities. This puts a severe strain on the antenna and Shiroe has the party take the battle into the concert hall below. Despite inflicting a great amount of damage to Taliktan, they are still pummeled by its powerful field attacks. However Shiroe's Full-Control Encounter raises the stakes and gives the party a significant advantage in pushing Taliktan to the edge and ultimately their victory. In the aftermath, Regan sets up the radio equipment and much everyone's surprise, Shiroe makes contact with Kanami in the Chinese server. 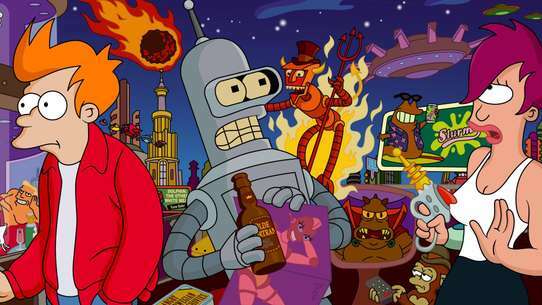 She then tasks him with seeking a way to allow transit between the real and Elder Tale worlds and relieves the Shibuya party about Krusty's whereabouts. Meanwhile, Nureha and Plant Hwyaden decide to establish relations with Eastal and the Round Table to combat the common Genius threat. 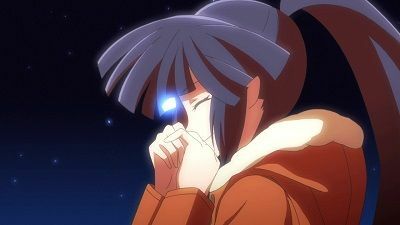 Finally, Log Horizon makes plans to celebrate their victory and with the dawn over the horizon, Shiroe and Akatsuki praise each other. 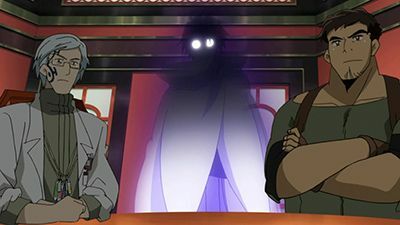 In the epilogue, Log Horizon holds a victory party and Regan skips out on his task with repairing the radio equipment to join the festivities. Roderic informs Shiroe that a device to communicate with the Moon would cost an astronomical amount of funds to construct but he isn't sure whether it would actually work or not. Elsewhere Tohya and his party discuss whether or not they want to return to their own reality. Back in Maihama, Lord Sergiatte summons Isaac and explains that he intends to announce Iselus as the next heir to the Cowen throne and asks Isaac to continue to watching over him. Karashin later notes on the growing tensions between Westelande and Eastal. The next day, Maihama hosts a banquet for Prince Iselus and Sergiatte expresses his regret for making him bear the enormous responsibility of ruler. Though, with Isaac's support, Sergiatte presents Iselus as the heir to the throne of Maihama. A group of Westelande Landers then crash the event and attempt to assassinate Prince Iselus, however Isaac protects him with support from Karashin and Reserick. Regan later visits Shiroe to relay his latest findings and also notes that he detected a faint signal from the Shibuya TV station while investigating the transport gates. Suddenly, they receive word of people mysteriously collapsing all over Maihama and Akihabara while a mysterious black cloud showers the city of Akihabara with strange spores. Upon arriving on the battlefield, Crusty's group engages the goblin army in battle at the Kasumi Lake. Meanwhile, at the headquarters established at the Midraunt Equestrian Park, Shiroe explains the pivotal role the town of Choushi plays in his plan to contain the goblin advancement. At the same time, a large army of Sahuagin monsters begin moving towards Choushi and the trainees persuade Marielle to let them defend the town. While watching the trainees fight, Naotsugu and Nyanta comment on their battle styles and of Minori's attempt to imitate Shiroe's Full-Control Encounter tactic. 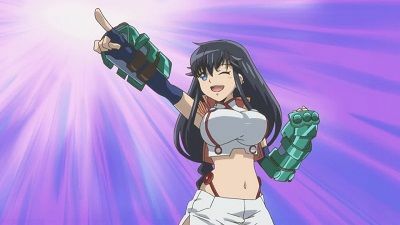 As the battle of Choushi wears on, Minori's group takes off to defend other parts of the town while Shiroe informs Marielle of the arrival of reinforcements in another hour. 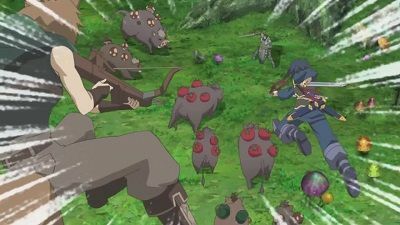 With the battle taking a huge toll on them, Minori's group soon finds themselves slowly overpowered against a small group of goblins and dire wolves. As Tohya's HP reaches critical levels, Minori starts losing control of the battle. However Rundelhaus suddenly charges at the last two wolves with his magical gauntlets and kills them in a suicide attack. In the aftermath, Rundelhaus' friends try in vain to heal and revive him. Already knowing the inevitable though, Isuzu tearfully explains Rundelhaus' nature as a Person of the Land—who dies permanently. Refusing to give up, Minori immediately asks Shiroe for his aid. Finally arriving in Susukino, Shiroe, Naotsugu and Akatsuki enter the district weary of an ambush by the Brigandia Guild. Meanwhile, as Demikas becomes alerted of their arrival, Shiroe meets up with Serara and Nyanta at a secret location, and shockingly discovers that his old friend Nyanta had been the one protecting Serara. Afterwards, Shiroe relays his plans with Naotsugu and Akatsuki and prepares to leave the district with Nyanta and Serara. 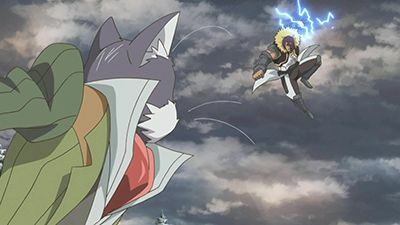 After having waited patiently for them to exit the district, Shiroe, Nyanta and Serara are surrounded by the Brigandia guild and Shiroe taunts Demikas into a duel with Nyanta. 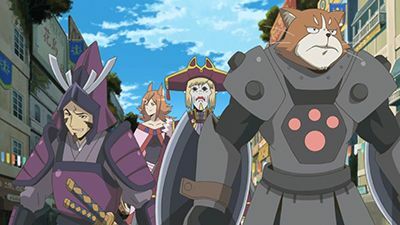 As Nyanta's swashbuckler class inflicts severe status ailments on Demikas, he crudely calls in his guild members for aid however Naotsugu intercepts them with Anchor Howl. Eventually, Naotsugu and Nyanta's HP drops to dangerous levels and Shiroe has Serara heal them. With the healing having seemingly little effect, Naotsugu activates Castle of Stone and buys them enough delay time for Shiroe to ensnare Demikas in Thorn Bind Hostage, allowing Nyanta to defeat him. As Akatsuki marvels at their perfect timing and silent teamwork while taking down Demikas' remaining healers, Serara delivers the finishing blow to Demikas in defense of Shiroe, winning the battle. With their mission successful, Shiroe, Naotsugu and Nyanta summon three griffons and the party makes their way back to Akihibara. The Akihabara Raid begins and Akatsuki uses her new equipment provided by everyone in battle with Nelreth before fleeing with Marielle to another section of the city. Following Riese's plan, they lead Nelreth through the city where he encounters groups of two-member raiding teams strategically placed to nullify his special abilities. Meanwhile, Lenessia and Kinjou reach an agreement to disable the city's magic circle. At the same time, Akatsuki pushes herself to her limits which causes her to activate her very own Teaching skill: Shadow Lurk. This gives her a slight edge until Nelreth decommissions her katana. However Tatara Amenoma gives her a new specially reforged katana with the power to challenge Nelreth's Byakumaru. Akatsuki then manages to lure Nelreth to Riese's position, where Lenessia and Kinjou simultaneously disable the city's magic circle and leaves him vulnerable to Riese's ice attack which stops him from teleporting. Finally with the support of her comrades, Akatsuki destroys the Byakumaru, defeating Nelreth. In the aftermath, the Akihabara raiding party celebrates their victory and Shiroe calls Akatsuki to congratulate her while his raiding party prepares to once again face the boss which claimed their lives on Christmas Eve. Upon arriving in Akihabara, Lenessia can't help but marvel at the different culture of the city. 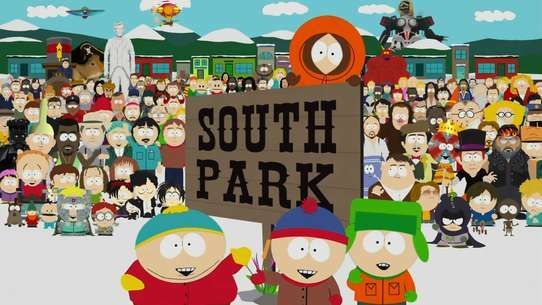 Shiroe and Crusty organize a meeting in the middle of the city, drawing hundreds of adventurers. Wasting no time, Shiroe stirs the crowds with the threat the goblin army poses to the League of Freedom Cities, Eastal. After presenting the option that the adventurers do not have to act, Shiroe introduces Lenessia who makes a heartfelt plea for adventurers to aid her in defending Eastal. Heeding Lenessia's words, the adventurers rally behind her with Crusty and Shiroe issuing the expedition to defeat the goblins as a quest from the Round Table. Crusty then takes almost half of the adventurers, along with Lenessia to the Narashino Port while Shiroe heads to the Midraunt Equestrian Park to set up a battle headquarters. 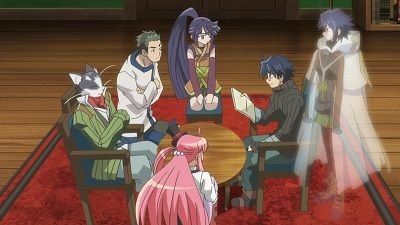 In the meantime, Sergiatte meets with Michitaka and Henrietta to explain the developing rift between the League and the Cowen family thanks to Lenessia's actions and of the power difference between the People and the adventurers, although they decide to wait for a solution from Shiroe. Elsewhere, as Lenessia ponders on the consequences of her actions, the training group makes a stand against the goblins at Choushi. Finally, after Crusty and Misa Takayama divide the adventurers into raiding parties, Crusty issues them the single order to kill all goblins. A terrified Kinjou faces Shiroe while the raiding party vanquishes Ibrahabra and turns their full attention towards Taltaulgar. Meanwhile, Kinjou explains the closely guarded secret of how the system distributes gold to monsters. Shiroe then reveals his true goal of requiring funds to purchase all the zones in Yamato, then reassigning their credentials over to the server itself in an attempt to balance the property market of the world, and in a measure of good faith—forfeits all of the Round Table's land assets. Afterwards, the raiding party celebrates their accomplishment after becoming the first to clear the Abyssal Shaft and Shiroe informs Akatsuki of his mission's success. In the aftermath, the party returns to Susukino and Shiroe brings Silver Sword up to speed on all of his experiences thus far and at the same time, feels deep regret for his mistreat of Demiquas. Afterwards, with Silver Sword opting to remain and protect Susukino, Shiroe and his friends make their way back to Akihabara. 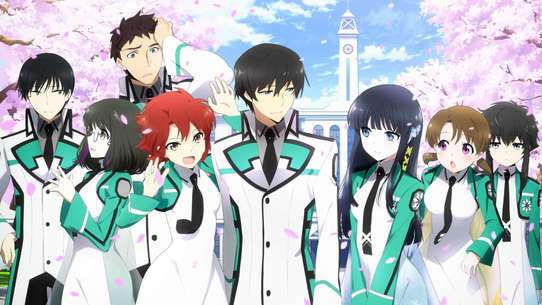 Elsewhere, the members of Plant Hwyaden discuss the intelligence obtained from their surveillance of Akihabara and of Shiroe's return to the city. Finally, Shiroe, Naotsugu and newly accepted Log Horizon member, Tetra are warmly welcomed home by their friends. The Round Table Conference begins as the masters of Akihibara's most influential guilds gather at the city's Guild Hall. Shiroe firstly eases that he seeks only to improve the city's living state, prompting disinterest and departure from Silver Sword's guild master—William Massachusetts. Unperturbed, Shiroe continues his explanation of the conference's formation. Elsewhere, as the Hamelin captives prepare to escape, Shiroe mentions the EXP Pot extortion campaign including Susukino's dire state with Black Sword Knights' guild master—Issac arguing the lack of laws in the world. 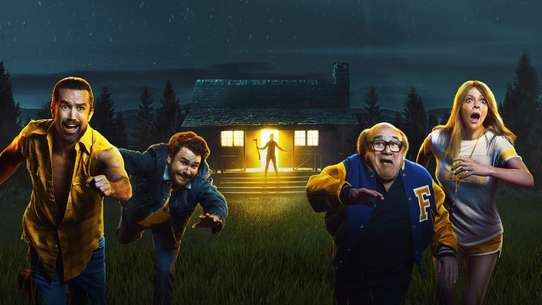 D.D.D. 's guild master—Crusty asks of a guild's fate should they refuse the laws to which Shiroe proposes harsh sanctioning. However, Honesty's guild master—Ein along with Issac and Crusty argue of the agreement's flaw should they refuse to cooperate, with Issac even threatening war. Shiroe then plays his trump card, revealing his acquisition of the Guild Hall using the five million gold and counter blackmailing the guilds over his absolute control of their affairs. Meanwhile, as the Hamelin captives manage to escape the Hall, Minori and Tohya are unfortunately captured by Hamelin's master—Schrieder. 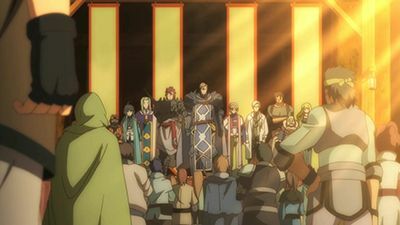 However Shiroe's control of the Hall along with help from his friends manage to successfully blacklist all of Hamelin's members. Finally, as Shiroe makes one last pitch to the conference, Issac demands Shiroe's plan. 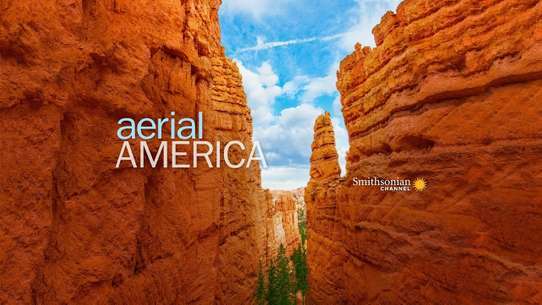 As the ball continues, Sergiatte invites the Round Table representatives to participate in the dance due to the People of the Lands' expectation. 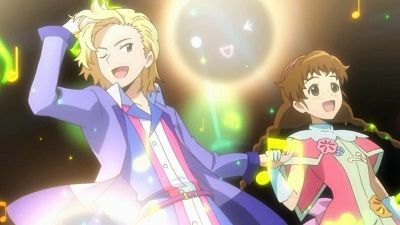 However much to the group's reluctance, Crusty nominates Shiroe to participate and with help from Henrietta's bard subclass, they quickly impress the entire ball. Afterwards, Minori calls Shiroe to inform him of their dungeon training and he reminds her of his teachings. The next day, Shiroe explains that the People of the Land would compete with themselves over dealings with the Adventurers in order to obtain their fighting and technological power by putting them in the People's debt. He then proposes that they create rules to protect the Round Table when the People inevitably start approaching their guilds individually and hence has Akatsuki begin reconnaissance as preparation. 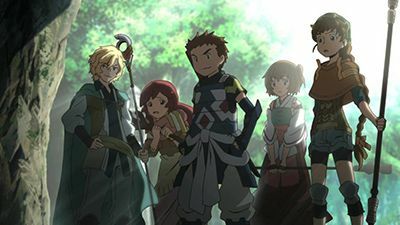 Elsewhere, the training camp makes their way to the Forest of Lagranda and split up into groups, however Minori has trouble speaking her mind in a group with Tohya, Rundel Haus Code, Isuzu and Serara. Eventually the group encounters some Skeleton monsters and familiarize themselves with their teamwork. Despite their best attempts however, they are quickly overpowered by the next wave of monsters and make a tactical retreat. Back at Palace of Eternal Ice, Crusty introduces himself to Lenessia. Shiroe, accompanied by Crusty and Michitaka arrive at the banquet and easily counters Lord Malves' ruse with one of their own, forcing the latter to make a hasty retreat. Shiroe then excludes himself from the continuing festivities until Minori voices her concern over his actions. However Shiroe reassures her that he accepts appearing as the villain as long as he can accomplish his tasks, something which also Akatsuki berates herself for being blind to. Sometime later, Shiroe goes to meet with the contact he sent to Minami—Ōshima, although a disguised woman calling herself Dariella confronts him instead. Upon seeing through her disguise though, Shiroe forces the leader of Minami's lone guild—Nureha of Plant Hwyaden to reveal herself. Afterwards, each reveals the information they possess on the other's accomplishments, with Nureha also voicing her intention to recruit Shiroe because of a supposed past meeting of theirs. She then explains her knowledge of his research into finding a way back to the real world and bribes him with her resources and his ambivalence towards Akihibara. However Shiroe rejects Nureha's proposal, forcing her to withdraw, still with her goal to have him. Later, the Scale Festival enters its last stages and Log Horizon sits down to dinner and reassures Shiroe of their intention to help him however they can. 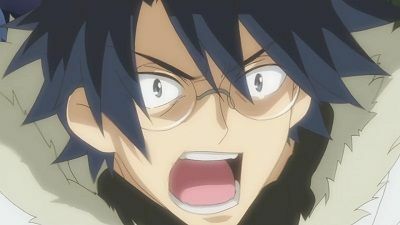 Faced with new challenges, Shiroe issues Log Horizon their next goal of changing the world of Elder Tale. In the epilogue, Shiroe notifies Regan of his intention to leave Akihibara and Regan asks to accompany him. The raiding party charges into the boss zone and begins their assault on Luseat. 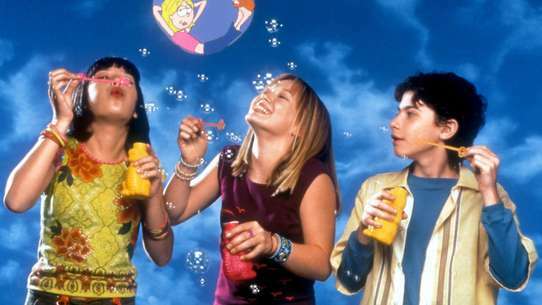 With their teamwork bolstered by accepting who they are, the party manages to break through Luseat's initial mode. This temporarily immobilizes the boss and while a small group cleans up its Shadow Vanguard, the rest rush through the gates towards the other boss zones. Per Shiroe's new strategy, the party divides into groups to keep the bosses far enough away from each other to prevent their field attacks from overlapping. This allows them to better focus their attacks on Ibrahabra and Taltaulgar and gain a significant advantage. However when the Vanguard make a sudden appearance on the battlefield, Demiquas recklessly draws all the Vanguard towards himself, grabs Shiroe and lures them away from the main party further down the dungeon. After proceeding for a while, Demiquas stops and demands Shiroe to properly acknowledge him. With each finding new-found respect for the other, Shiroe acknowledges Demiquas before the latter throws him towards the Abyssal Shaft's goal and escapes with the Vanguard on his heels. Finally Shiroe proceeds through the doorway to the source of the world's gold and comes face to face with Kinjou and the raid's final boss—Uru of the Ninth Garden. As the Conference continues Marielle reveals the secret behind preparing food with flavor followed by Michitaka's news of the collaborative invention of a steam engine. Shiroe then explains that by simply using one's own hands instead of the command menu, new things can be invented which in turn would start a supply and demand chain reaction and hence drive Akihibara's economic system. 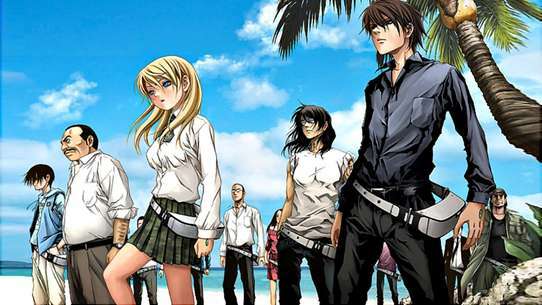 Shiroe then proposes the establishment of Human Rights laws that would ban the PKing, kidnapping and imprisonment of players and also allow them the freedom to join and leave guilds as they desire—further suggesting that these laws also apply to the People of the Land much to the conference's surprise. However, with Marielle's help, Shiroe convinces the conference of the People's importance and the dire need to coexist peacefully with them. 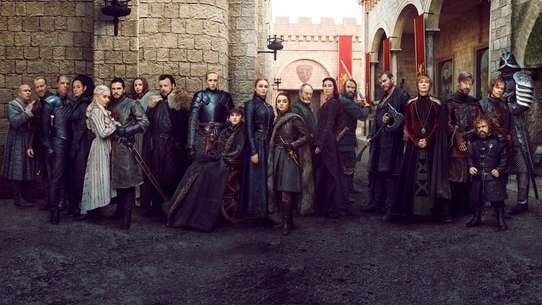 Presented with an undeniable case, the guild masters unanimously decide on the Round Table Conference's formation and move on to inform the city and mark the occasion with a celebration. 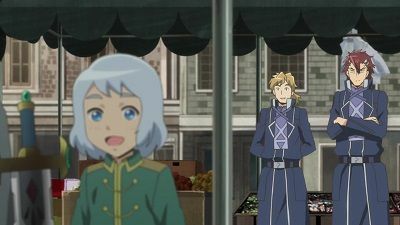 A week later, Shiroe secures a headquarters for Log Horizon and welcomes Tohya and Minori while at the same time, outside spies begin to infiltrate Akihabara. 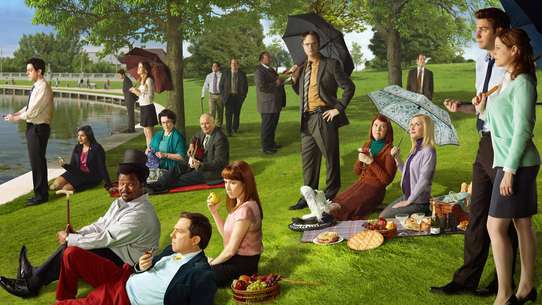 Elsewhere, the spies report back to Sergiatte of the League of Freedom Towns – Eastal district before being approached by a woman called Lady Lenessia. Naotsugu, Shōryū and Hien begin hunting ingredient monsters in the Imperial Garden Forest while the girls, builders and cooks of the of the Crescent Moon Alliance along with Nyanta begin preparing themselves for one of Shiroe's plans. 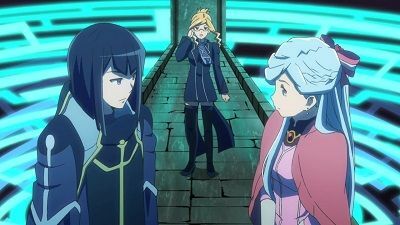 At the same time Henrietta and Shiroe task Marielle with approving an exorbitant amount of budget requests for the guild as part of Shiroe's plan to obtain his requested five million gold funding by taking advantage of the fact that the world of Elder Tale has no strict ruling on how currency should be obtained. The following day the Crescent Moon Alliance opens a food booth in the city and despite initial reluctance from the citizens, becomes an instant hit with word of their delicious food quickly spreading throughout the city. Afterwards, the stall manages to make over forty thousand gold in profit despite their sales being restricted by the total amount of citizens living in Akihabara in addition to the total number they can serve daily. 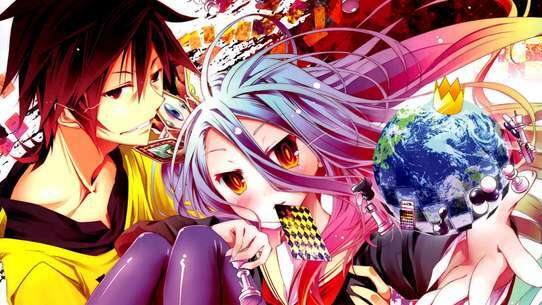 Shiroe then leaves the next stage of his plan to Henrietta before he informs Minori of their progress and urges her to wait a while longer. That night, Shiroe and Nyanta meet with Soujirou Theta—master of the Caravan of the West Wind guild and former Debauchery Tea Party member and asks for his aid, which he gives to Shiroe without hesitation. Finally Shiroe beings the second stage of his plan the next day. The Crescent Moon Alliance guild throws a party in their guild hall to commemorate Serara's return, in addition to keeping Nyanta's cooking methods a secret from the rest of the city. Afterwards Marielle explains to Shiroe that during his absence, Akihabara remained relatively peaceful despite an unnatural uneasiness befalling its citizens whereby no fault of their own, a social divide was established between the strong and weak guilds. Marielle also outlines that since the player level-limit was raised to 100 following the Novasphere Pioneers update, the stronger guilds such as the Black Sword Knights and Silver Sword have been leveling up using EXP pot items obtained from the Hamelin guild who had been requiting low-level players for the sole purpose of creating a monopoly on their EXP pots to the stronger guilds. 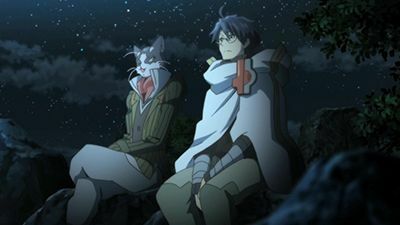 Following this news, Shiroe later ponders on all of his excuses up until that point but upon running into Nyanta, realizes that he had just been using them as a means to run away from the reality of Akihabara's state of affairs—despite his friends remaining by his side. Afterwards, Shiroe calls Minori and assures her that he will save them. 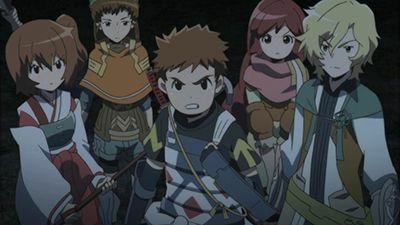 Filled with new resolve, Shiroe meets with Marielle, Henrietta and Shōryū the next day and asks them to aid him and his newfound guild—Log Horizon, in ending Hamelin's plot and restoring Akihabara's sense of goodwill. Enheart Nelreth continues to wreck havoc in Akihabara and throws the city into a state of disquiet. This prompts the remaining Round Table members to impose an evacuation of the lower-leveled players to Zantleaf for their protection. Akatsuki later scours the city for Enheart while Soujirou also mobilizes the West Wind Brigade in the search. Meanwhile Kinjou meets with Lenessia and takes responsibility for the serial killings done by a rogue clan member, after he had stolen the Royal Guard armor with capabilities exceeding an Adventurer. Akatsuki eavesdrops on the conversation and decides to take action after being inspired by Lenessia's strength. The West Wind Brigade later encounters Nelreth and Soujirou rushes to the scene to protect his guild members. Soujirou puts up a fierce duel against Enheart along with Akatsuki when she makes a sudden appearance. After allowing his guild members to flee, Soujirou activates his Teachings skill and tries to pass on some knowledge of it to Akatsuki mid-battle, before Enheart takes him down. At the same time, the raiding party encounters a particularly dangerous boss and it kills Shiroe and Naotsugu. Finally, Akatsuki falls in battle against Enheart and tearfully misses Shiroe before her body vanishes. Shiroe leaves for Choushi while Minori relays their situation. 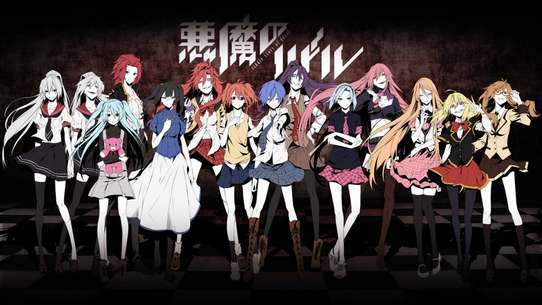 Using Regan's theories of revival, Shiroe has Minori, Serara and Isuzu alternate between restoring Rundelhaus' health and magic to prevent his body from being destroyed. Meanwhile, Misa and Lenessia update Crusty on the status of the battle and they prepare to intercept the goblin general's forces in Zantleaf. At the same time, Shiroe arrives at Minori and co's location and uses his enchanter abilities and a revival item to restore Roundelhaus' magic and temporarily revive him as a zombie for a few minutes. As Rundelhaus awakens and accepts his fate much to the grief of his friends, Shiroe sharply rebuffs his resolve. 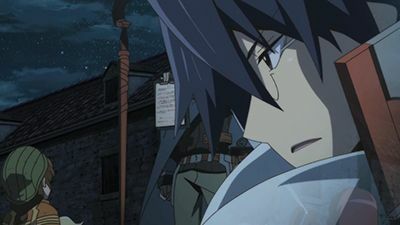 Using the theory to bend the laws of the world by making things oneself, Shiroe presents Rundelhaus with a contract to join Log Horizon as an adventurer. 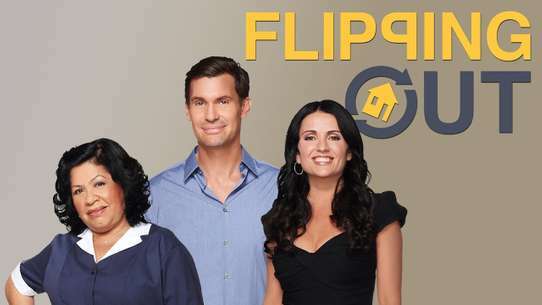 Willing to use his abilities for the good of others, Rundelhaus signs the contract and dies as one of the People of the Land. Elsewhere, Crusty and the other adventurers mercilessly slaughter the goblin general and his forces at Zantleaf while Marielle's group and the reinforcements repel the Sahuagin monsters invading Choushi. Afterwards Shiroe explains his definition of an adventurer to Minori. Finally, Rundelhaus awakens at the cathedral to his new status as an adventurer and gets a severe scolding from Isuzu for his recklessness. Minori manages to convince Naotsugu and Nyanta to let her party begin a surprise attack against the goblin forces. 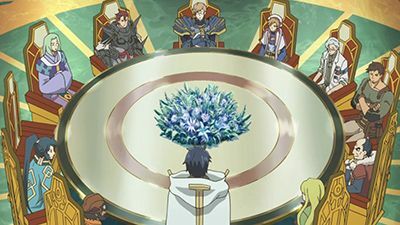 Meanwhile, the Eastal Lords hold their own private conference to discuss Yamato's current predicament, including the Izumo Knight's disappearance and of sacrificing Lord Kiliva's Tsukuba City to the goblins as a possible battle strategy. Lenessia eventually overhears this information as well as the Lords' intention to use the adventurers. In the meantime, Shiroe prepares specific roles with Crusty and Michitaka for their talks with the Eastal Lords until they are finally summoned. Having predicted that the Lords would try to gather more information from them, Shiroe uses the same tactic, prompting an outburst from Kiliva stating that the adventurers have a responsibility to act. Although Michitaka violently retorts that they deserve more respect than what the League has shown them. At this time, Lenessia reluctantly makes a sudden appearance and notes the League's error in negotiating with the adventurers and instead proposes that she go to Akihabara to respectfully recruit volunteers to aid the People. Afterwards, as Minori's party continue fighting with their own resolve, Shiroe, Akatsuki, Crusty and Lenessia make their way to Akihabara as Shiroe remarks that Lenessia may be the one to change the Cities of Eastal. 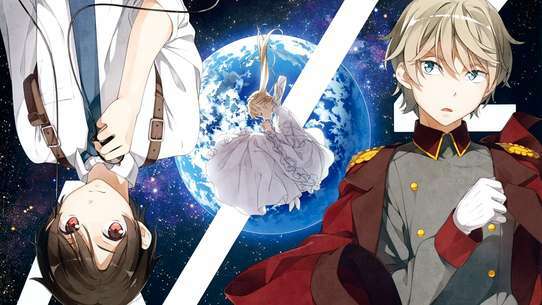 Being an academic in the study of World-class magic, Regan offers Shiroe and Akatsuki an explanation of the World Fraction spell and its thrice use in the world's history, with Shiroe correctly deducing the third time being the Apocalypse. Regan explains that 350 years ago the Human, Elf and Dwarf races destroyed the Alv kingdom out of technological jealousy. Seeking revenge, the remaining Alves cast the first World Fraction which resulted in the creation of the endlessly respawning demi-humans which pushed the planet into a world war. 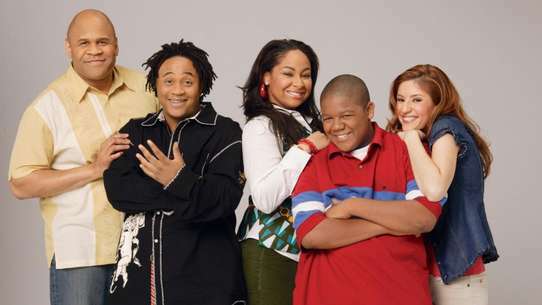 This caused humanity to create powerful hybrid races to aid in the war, until they were forced to cast the second World Fraction which summoned the Adventurers to their aid, some 240 years ago. As Regan also explains that Shiroe's name appeared in the world's history some 98 years ago, Shiroe confirms the events using the game's rate of time as it correlates to the real world, including the start of the open beta which brought the human-controlled Adventurers and when he began playing Elder Tale. 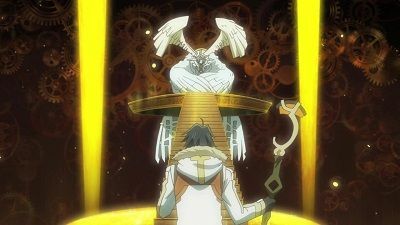 Regan then moves on to explain his Spirit Theory which involves how revival works and that memories in the form of XP are lost during the process—a theory which Shiroe decides to withhold from the Round Table for the time being. Meanwhile, Minori finally decides to speak her mind to the training group. 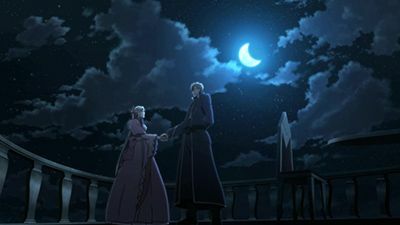 Following the second stage of Shiroe's plan, Marielle and Henrietta meet with Karashin—master of the Shopping Street 8 guild to discuss an agreement involving the exchange of food ingredients. Karashin tries being coy in his attempt to establish an exclusive deal with the Crescent Moon Alliance's food business. 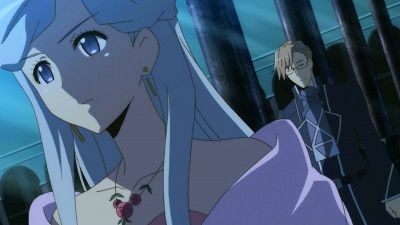 Having already anticipated this, Shiroe has Marielle and Henrietta introduce their intention of bringing in the masters of the other business venturing guilds—Michitaka and Roderic of the Marine Agency and Roderic Merchant Guild respectively—thus forcing Karashin to hurriedly accept the Alliance's proposition at a severely reduced price. Meanwhile, Minori laments all of the struggles she and Tohya faced when they became trapped within Elder Tale and that they didn't heed Shiroe's advice before it was too late, thus making them unworthy of Shiroe's rescue. Back at the meeting, Shiroe has Henrietta play a dangerous game of baiting the three guild masters into investing the remaining amount of gold under the false pretense of an extremely profitable legendary Novasphere Pioneers quest led by non other than the "Villain in Glasses" himself—Shiroe. 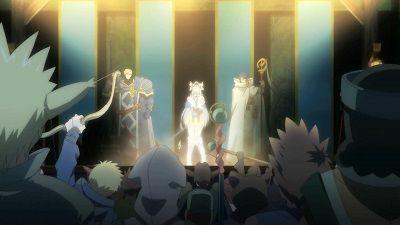 Afterwards, Tohya relates the same feelings of undeserved rescue to Minori before the Crescent Moon Alliance and Log Horizon issue invitations to Akihibara's largest guilds for a conference to discuss the city's future. Shiroe sifts through the documents sent by Roe 2 and learns new information about the world. Afterwards he pays a visit to the Brigade of the West Wind and asks of their encounter with the Genius monster. The Round Table gather some time later and discuss additional encounters with three more Genius monsters around the city. Afterwards Karashin stops off in Maihama and brings Isaac up to speed with the Round Table's latest meeting. At the same time, Nyanta and Shiroe take note of the empathetic adventurers who have lost the resolve to continue. However thanks to Serara, Nyanta realizes that the younger adventurers can still be optimistic about their futures. 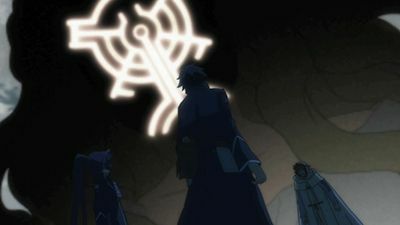 The following night, Shiroe lays out his hypothesis about their current reality to the senior Log Horizon members, and reveals the information sent to him by Roe 2. Roe 2 explains that she is an artificial being created by an alien race that was sent to search other universes for a resource called "empathions". 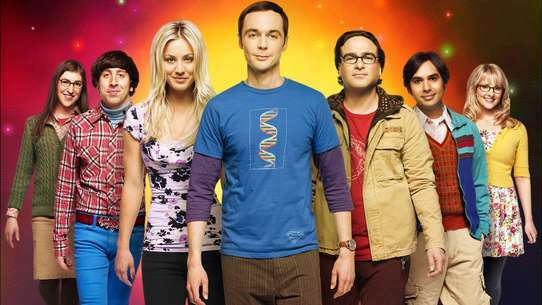 She then warns them of the Genius monsters who will obtain empathions at any cost. Finally, Shiroe decides to trust her words when she explains that her companions on the Moon may be able to assist the adventurers in returning to their own reality. Shiroe postulates that the People of the Land led by the newly arrived Lord Malves of Westelande to be responsible for the attack on the city, with the intention of destroying the Round Table's reputation and treaty with Eastal. 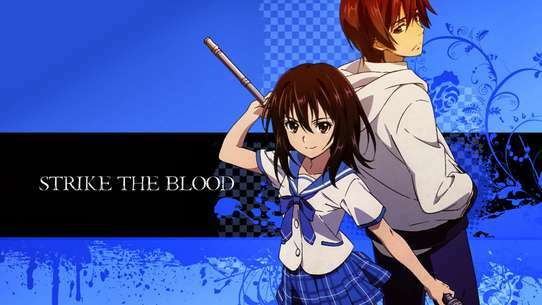 In preparation to counterattack, Shiroe has his comrades provide him with more information while Minori does her best to keep Karashin's office flowing using the skills taught to her by Shiroe. 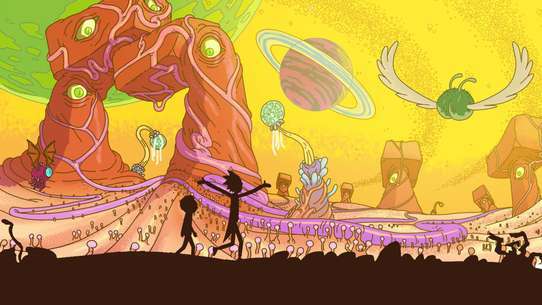 Afterwards Shiroe begins plotting all the points of disturbances caused by the People of the Land but has difficulty in discerning a pattern out of their randomness until it finally dawns on him that the People are improvising on the spot. While stressed for a solution Shiroe gets a spark of genius after meeting Soujirou who had innocently beaten the cake contest with the help of his guild. In the meantime Lord Malves crashes the Twilight Banquet and corners Lenessia over his supposed mishandled cargo documents. Elsewhere, in a brilliant countermeasure, Shiroe uses the West Wind Brigade's infatuation with Soujirou as incentive for them to patrol the city and handle the disturbances. 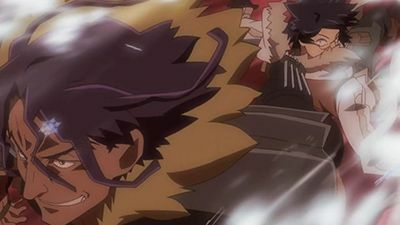 Shiroe and co. then learn of the banquet disturbance and decide to make the festival as enjoyable as possible with a fireworks display as their true counterattack. Finally, Shiroe makes an appearance at Lenessia's banquet. At moonrise, the player cities of Akihabara, Susukino and Minami are all simultaneously attacked by swarms of Eternal Moth monsters, whose scales rain down and knock people into a state of sleep by draining their magic points. 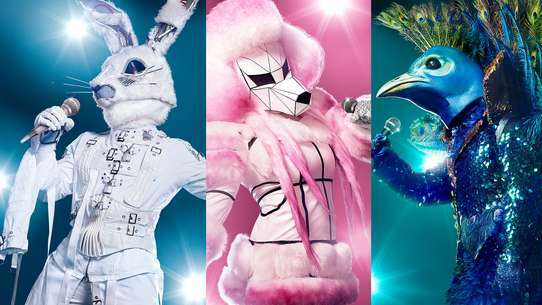 The Brigade of the West Wind soon discover the moths' nest located in a new raid zone in the Shibuya broadcast building and the Round Table postulate that the monsters had been drawn to the broadcasting antenna from the Moon. Filled with uncertainty, Shiroe decides to put together a raiding party and makes the difficult choice of destroying the antenna. 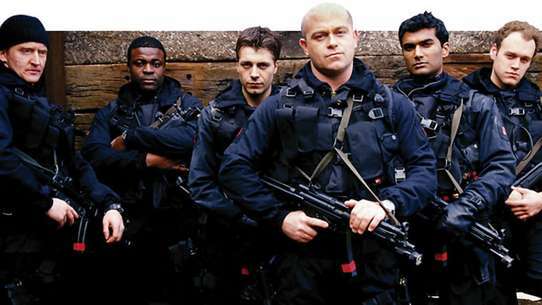 The raiding party then fights their way through Shibuya and manage to enter the raid zone in the broadcast building. However Shiroe's uncertainty hinders his strategic insight and allows the sheer volume of monsters to overwhelm the party from all angles, forcing them to make a hasty retreat. Shiroe then uncharacteristically apologizes to the party for his lack of focus, but Minori and the others dispel his uncertainty about returning home when they collectively decide to stay and help the world of Elder Tale. Finally, when Ichimonjinosuke discovers the raid boss at the top of the building, Shiroe's restored resolve helps him formulate a new plan of attack. The city of Akihabara remains as lively as ever and holds a sports festival while the Round Table discuss their dire financial state since the high cost of maintaining the city has all but depleted their funds. Meanwhile Crusty, Issac, Karashin and Akaneya begin an offensive against the goblin camp at Seventh Fall. 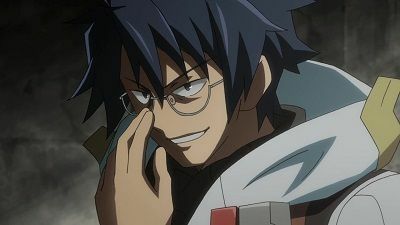 Shiroe later gathers the members of Log Horizon and the Crescent Moon Alliance and due to Minami spies having infiltrated Akihabara, he partly explains his intention of leaving the city. Ten days later, Shiroe, Naotsugu and Regan meet with Kinjou of the Kunie Clan to discuss the terms of a financial agreement. However as Kinjou declines to assist the Round Table, Shiroe confirms the non-existence of the moneylender class, prompting him to reveal his intention of going straight to the source of the world's gold sealed away deep in the Depths of Palm. However before leaving, Kinjou presents Shiroe with a challenge of clearing the massive raid blocking the gold source and prove their worth to the Kunie Clan. Realizing that he cannot risk requesting combat support from the Round Table due to the spies monitoring their movements, Shiroe decides to enlist other acquaintances for help. Some time in the future, Shiroe and Akatsuki meet in another plane after having both been killed during their respective missions. While waiting for Akatsuki to revive with Riese on Christmas Day, Lenessia realizes that she had not truly made an effort to understand the Adventurers around her and resolves to do so. Meanwhile Akatsuki has a vision of the real world and realizes that she had simply been moving forward with her life without any particular goal in mind. Afterwards she awakens in a tranquil beach landscape and encounters Shiroe while wandering around. 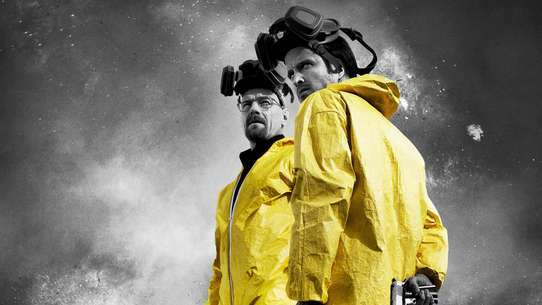 The two share the circumstances which lead to their deaths and both trade fragments of their memories for the chance to revive. Afterwards Akatsuki revives at the Cathedral and begs Nazuna and Riese to share their Teachings with her to stop the murderer. Meanwhile, Roderic shares new information with his guild about playing as a different gender, the geological expansion of Yamato and the effects that flavor texts have in Elder Tale, concluding that the Apocalypse isn't over. 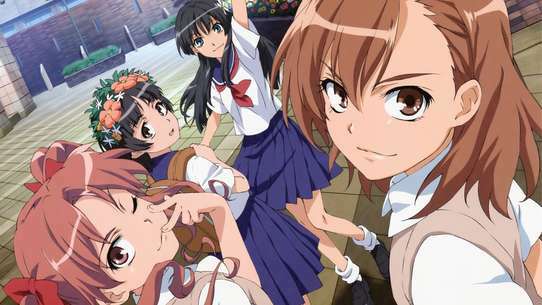 Back at the Watermaple house, Riese and the other girls decide to aid Akatsuki after helping her realize that going it alone was the wrong call. Elsewhere, while Crusty and Sansa track the goblins at Zantleaf, Sansa's weapon, "Disaster" suddenly begins acting strangely and traps her in a type of barrier. 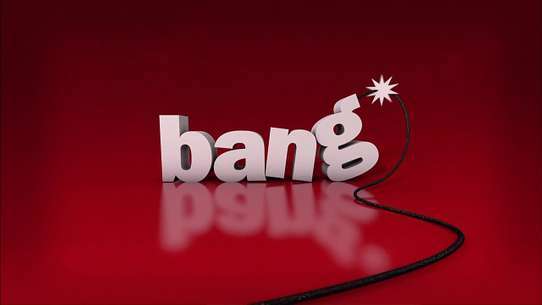 However Crusty throws her out of the way only to find himself vaporized in her place. The Round Table Representatives find themselves with invitations to various meetings throughout the palace and they divide them amongst themselves. Shiroe will attent a dinner meeting with Count Kirino of Tsukuba and the Academic's Guild, Krusty will go to an evening party of young knights and Michitaka will attend a banquet with Lord Darte. Meanwhile, as Elissa warns Lenessia to be weary of the Adventurers, the latter recalls her previous meeting with Krusty where he uses her as a convenient shield against scrutiny from the palace folk. The next day, Lenessia witnesses the sparring session with the palace knights where Krusty craftily manipulates her into accompanying him to the evening party as a reward for defeating all the knights. 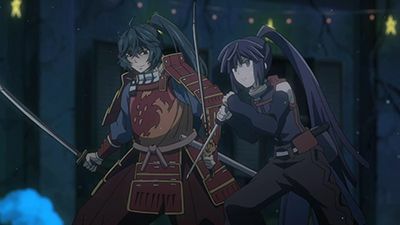 Elsewhere, Akatsuki eavesdrops on two noblemen at the palace and learns of a group called the Knights of Izumo, who have apparently dissapeared. Afterwards, Krusty explains to Lenessia the freedom of the Adventurers due to their resolve as opposed to her sheltered life. Meanwhile, Touya's Party is seen fleeing from a group of Skeletons. When they've gotten away from them, Rundelhaus Cord starts complaining that even though they are at a higher level they can't seem to defeat the Skeletons. Minori tries to speak her mind, but quickly backs down again. At the beach Marielle and Shoryu notice a strange phenomenon on the ocean horizon. Back at the Ancient Palace of Eternal Ice, Lord Darte asks Michitaka to share sea faring technology with him. After Krusty and Lenessia attend the formal party, Krusty explains his interest in Lenessia by comparing her to his sister in the real world. Elsewhere, Shiroe meets with Akatsuki after his meeting with the Academic's Guild and learns of the information she gathered, when suddenly a weird phenomenon happens: everything start to vibrate and the flowers wither as the Enchanter and Assassin readied their weapons. Then suddenly a mysterious man appears, introducing himself as Ri Gan the mage from Miral Lake.